The hidden camera captured the nurse poking the 92-year-old victim in the head and telling her to “shut up”. A FORMER NURSE has been sentenced to four months in jail for her treatment of a 92-year-old woman in a nursing home. Faderera Bello, 54, was handed the prison sentence yesterday for the ill treatment and wilful neglect of Bridget Rees, who suffered from dementia and was wholly dependent on carers for all her needs. Bello had worked as a staff nurse at the nursing home in North London where Rees lived. The case arose after the victim’s daughter noticed bruising on her mother’s arms in October of last year. She told the management of the nursing home about it but was told that the bruising was most likely to have been caused by the medication the 92-year-old was taking. Unconvinced, Bridget Rees’s family bought a small camera and hid it in her room at the nursing home. 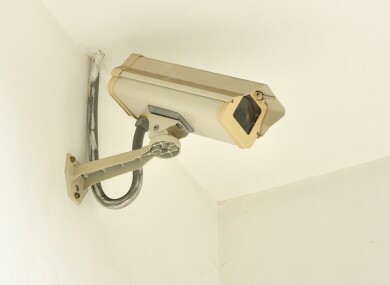 The camera had a motion sensor and the footage it captured was viewed by the family. The video captured footage of Bello poking the victim in the head and face, telling her to “shut up” and “shut your mouth” on numerous occasions, and manhandling the victim in a heavy-handed manner. The family showed the film to the management of the nursing home who suspended the nurse and launched an investigation, and also contacted the police. Bello was dismissed from her job for gross misconduct in January of this year and she was arrested at her home in February. She pleaded guilty to the offence before Thames Magistrates’ Court and was sentenced on Wednesday. The family of 92-year-old Bridget Rees said cameras in nursing homes could help to prevent similar incidents from happening. “Although the family are very disappointed with the sentence given out today, we are pleased that this matter has been investigated fully by the police,” her family said in a statment. “This should never have happened and we fully support any moves to install CCTV in nursing homes in the UK”. Email “Nurse jailed for ill treatment of 92-year-old after family installed secret camera”. Feedback on “Nurse jailed for ill treatment of 92-year-old after family installed secret camera”.